The Yamaha APX500 MKIII, seen here in a beautiful Dusk Sun Red finish, is a great electro-acoustic guitar featuring the System 66 preamp for.. The Yamaha APX500 MKIII, seen here in a beautiful Dusk Sun Red finish, is a great electro-acoustic guitar featuring the System 66 preamp for great live sound. Yamaha have once again proven that they can produce fantastic guitars at very reasonable prices without compromising on quality. One of the best-selling electro-acoustic guitars of all time, Yamaha APX500 returns in its Mk3 iteration now sporting the much-improved System 66 preamp providing excellent live sound. Spruce has been used for the resonating top of the Yamaha APX500 MK3. Known for its elasticity and ability to produce a broad range of tones, Spruce is one of the most popular tonewoods in use on guitars. Instantly recognisable is the distinctive oval-shaped APX soundhole which thickens out the lower-mid range response while delivering a nice, open low-end. The thin-line body of the APX500 MkIII makes it extremely comfortable to play and hold while its cutaway design makes it easy to reach the higher frets; great for guitar solos and adventurous play styles. Specially designed non-scalloped x-type bracing gives the APX500 MkIII improved resonance for a full and natural tone. 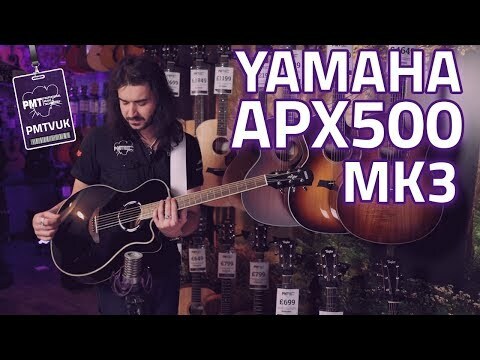 Allowing you to take to the stage with great sound, the Mk3 version of the Yamaha APX500 comes equipped with upgraded electronics in the form of the System 66. Utilising an under-saddle piezo pickup developed by Yamaha, the System 66 preamp and pickup system allows for fantastic live sound. A built-in chromatic tuner with bright display allows you to keep your strings in tune; even in dimly lit stage conditions. There’s also a built-in 3-band equaliser with an adjustable mid-range frequency control so you can really tailor your sound to your exact liking. Its smaller size and the thin, speedy neck is easy to play and electric guitarists will appreciate the smooth transition. Atop the slim neck is a classic Rosewood fretboard – a wood that has been favoured for many years due to its durability and smooth playability. At the headstock, there are six TM29T machine heads allowing for quick, precise and secure tuning of the strings. 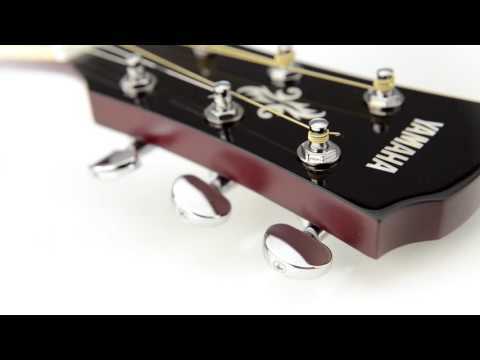 Easy to play and providing a great sound, the Yamaha APX500III is a great electro-acoustic guitar that is perfect for gigging. With the new System 66 preamp, getting the perfect live sound is easier than ever while its small body design with cutaway and slim neck allow for comfortable and easy playing.